SOUNDTECH DOOR CHIME 031D is rated 5.0 out of 5 by 1. 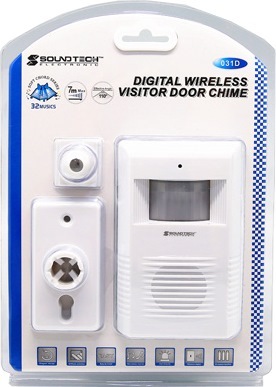 Rated 5 out of 5 by Michael Tong from Review of SOUNDTECH DOOR CHIME 031D I bought this item online from Horme hardware. It was easy to put up the purchase. The customer service personnel was also very responsive in confirming the item's availability in the store in Big Box building. It was easy to find the place. The item was tested to be functioning and it has been used since. It is used for sounding an alarm to alert the helper when the elderly at home gets up from his sitting position. 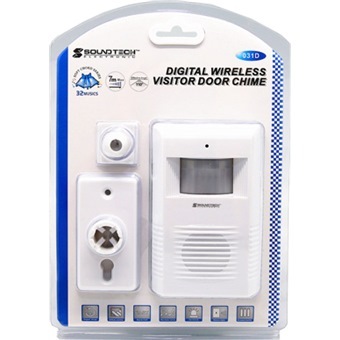 Hence it functions as a "safety alarm" device. The purchase and usage experiences have been good.